The New York Health Act, a proposal to create a single-payer health plan in the state, would result in steep tax increases for the rich while saving most other households money, according to a new analysis from the Rand Corp. and the New York State Health Foundation. The bill would expand health coverage to all New Yorkers, including undocumented immigrants, and would not require copays or deductibles. The measure has passed the Assembly in each of the past four years, but it hasn't advanced in the Republican-controlled Senate. "We felt like the issue's time had come at both a national level and state level. It had gained enough traction that it called for an independent, rigorous and credible analysis," said David Sandman, president and CEO of the New York State Health Foundation, which backed the study. "That's not to say its passage is imminent." The study assumed that New York would receive permission from the federal government to deliver Medicare and Medicaid benefits through the New York Health program while still receiving federal funds. That was necessary to proceed with the analysis but might not be politically realistic. Seema Verma, administrator of the Centers for Medicare and Medicaid Services, said in a speech last week that CMS would likely deny such waivers. Researchers predicted the state would spend $311 billion on health costs in 2022 premiums, out-of-pocket payments and existing taxes if the bill doesn't pass, compared with $309 billion if it does. To finance the program, the state would need to raise an extra $139 billion in taxes, a 156% increase compared with the $89 billion expected in 2022. "If members of the Legislature are interested in substance over symbolism, this report would change a lot of votes because the price tag just went up" compared to a previous estimate, said Bill Hammond, director of health policy at the Empire Center in Albany. He has been critical of the single-payer bill. Healthcare utilization would increase under New York Health, but overall spending would remain similar to levels expected under the status quo, according to the study. That's because of lower administrative costs and slower growth in payments to providers. Eric Linzer, president and CEO of the state Health Plan Association, cast doubt on whether New York Health could deliver on some of the study's assumptions. "The analysis assumes that the state would be able to regulate provider rates and drug prices despite any evidence that doctors, hospitals and pharmaceutical manufacturers would be willing to be paid less than they are today," he said in a statement. The bill lacks a tax structure for raising the funds, except for its description of a progressive tax rate. The study offered one possibility: Create three income-tax brackets, with households earning $27,500 or less paying 6.1% in 2022, households earning between $27,501 and $141,200 paying 12.2%, and households earning more than $141,200 paying 18.3%. Similar rates apply to nonwage income, such as investment gains. The taxes would solely fund New York Health and be in addition to state income tax, which ranged from 4% to 8.8% last year. 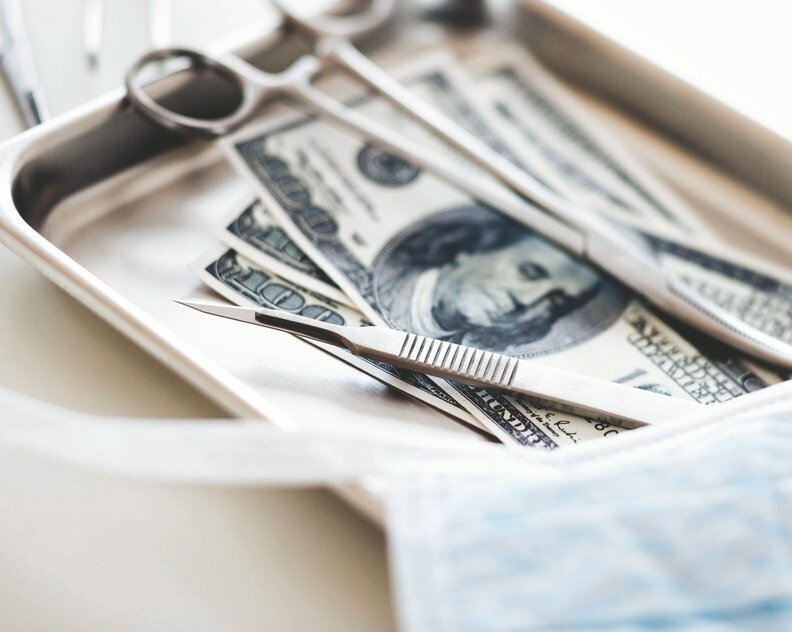 Despite the higher taxes, the report concluded that most households earning up to $290,000 a year would pay a smaller percentage of their income toward health payments. People earning up to $185,200 would pay about $3,000 less per person. The exception would be people whose employer previously did not provide coverage. Assemblyman Richard Gottfried, a Manhattan Democrat who sponsored the bill, said the report is an "important validation" of its viability. He said he will use the report to promote the bill and in discussions with the Cuomo administration. He plans to reintroduce the bill when the new session starts, in January. "I'm hoping to introduce it in a state Senate that has a Democratic majority," he said. A campaign spokeswoman for Cuomo did not respond to a request for comment. The effect on employers would vary by firm size and whether they offered coverage before the potential law, the report said. Employers that provide coverage would spend $200 to $800 less per employee, but employers who don't provide coverage, which are primarily small businesses, would pay $1,200 to $1,800 more per worker due to new payroll taxes. The report said New York Health could be threatened if some wealthy individuals leave the state to avoid paying the higher taxes. The wealthiest 0.5% of tax filers would contribute $33.5 billion in 2022, or 11% of New York Health costs. "Single-payer bill would save most New Yorkers money but cost the rich, study says" originally appeared in Crain's New York Business.